On the third of February 1778, after just over a year in the cell, on the Duke's orders Schubart was suddenly taken out of his dank cell and led to a dry, airy room with a window, from which, at last, he could see people: children playing in the courtyard, even his loyal brother, who had been told to come to the fortress but who was still not allowed to meet him in person: his brother just had a walk-on part in Rieger's sadistic play. By their deeds shall ye know them. Had he been left in the dungeon cell much longer he would certainly have died. His death in captivity after such treatment would have sparked outrage: clearly, he had to be kept alive. We cynics would also point out that his release took place only a few days before Duke Carl Eugen had his 'acknowledgement of his sins' read from the pulpit of every church in Württemberg on the occasion of his fiftieth birthday – not a good time to have poor Schubart squatting in his rotting shirt in a dungeon. Although the worst of the physical suffering was past, the mental pressure continued. The lamp was snuffed at eight in the evening: he was in the winter dark for twelve hours. He still had no writing materials and no piano. No one could speak to him and he could speak to no one. His brother came to see him, but was turned away. The visits of my Commander became ever more frequent and cheering for me. His cheerful disposition, his wise conversations, his news he brought from the wide world, various, often very good things, that he brought me to read and the bodily sustenance to sustain me, held my spirits aloft, when they threatened to sink. Ludwig Schubart, the editor of his father's autobiography, notes drily that his father had told him that the bodily sustenance only came after Schubart had composed an important letter or a celebratory poem for Rieger. In the inner depths of Schubart's mind that almost never surfaces in the autobiography, Rieger will always be the sadistic beast that persecuted him for years. Schubart's description of Reiger's 'cheerful disposition' is satire of the highest order, given what we know of that moody tyrant. 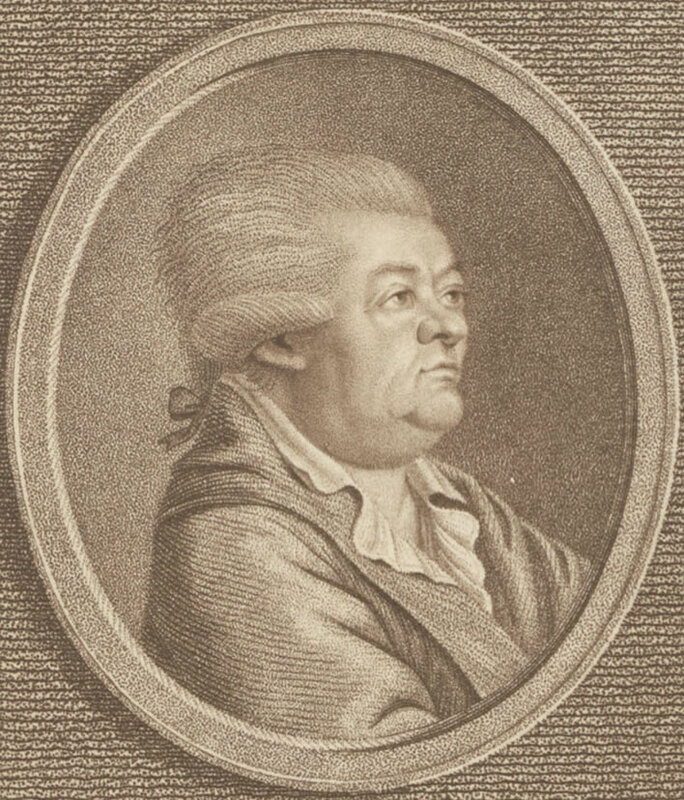 Christian Friedrich Daniel Schubart, silverpoint by Anton Karcher based on a work by Philipp Gottfried Lohbauer (1745-1816), 1788. Image: ©Tobias-Bild Universitätsbibliothek Tübingen. He was given books to read, but only those that would 'heal his soul'. Helene, his wife, sent him a copy of the latest book from their friend Johann Miller, The Story of Karl von Burgheim and Emilia von Rosenau in Letters. Rieger wrote to her to say that the book was 'novel-like' and that he could therefore not give it to her husband, who anyway no longer had any taste for worldly books. If she wanted to send him a book it should be Bengel's Sixty improving disquisitions on the Revelations of St. John. Johann Albrecht Bengel (1687-1752) was an extremely influential Pietist theologian in Württemberg and sometimes called the father of Swabian Pietism: yet another grim-faced finger-wagger. Rieger added that Helene should not lose any time in sending the book, since Schubart's soul was certainly in immediate need of it. Schubart began to suffer repeated and serious attacks of dizziness, with paralysis, trembling and chest pains – he expected his end to come at any moment. Although the room was better than the dungeon, his time there was very bitter, made worse by Rieger's punishments and bad moods. His joy at his release from the dungeon had now faded completely. At the end of October 1778 with a nail on some paper he scratched what he thought would be his last letter to Helene, dating it the '642nd day of my imprisonment'. Rieger's conscientious thoroughness in grinding Schubart's refractory spirit down has to be balanced against his conscientiousness in the physical welfare of his charge. However, that care for Schubart's welfare should not be interpreted as a humanitarian streak in Rieger –	there is no evidence that he had such a thing. Rieger obviously just didn't want Schubart to die in his custody. He is healthy, praise God, and daily increases in his understanding that faith and love of Him, who alone is our salvation and in whose name alone we can, should and will be blessed and whom he recommends to you all in shared faith so that you may meet again in Heaven, which would otherwise not be the case. He asked me to stop troubling myself pleading on Schubart's behalf. My husband requested no help from humans, but was instead completely convinced that the dear God had brought him to this imprisonment and would be the one who led him out of it. Writing of this meeting to their friend Miller, Helene, in her simple piety, accepted that this last statement was theologically correct but wondered aloud whether her husband was really thinking that. The ban on any kind of writing was a continual source of sorrow for Schubart. He was not even allowed to have a pencil with which to underline passages in the Bible. 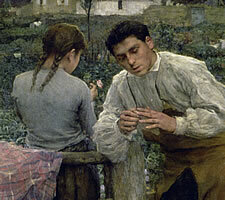 On one occasion Helene had hidden a pencil in the watch-pocket of a pair of trousers she sent him. He found it, wrote a few poems, but then threw the pencil out of the window for fear of being caught with it. The astonishing thing is that, once freed from the dungeon cell, once past the depression and the suffering of the second year, the characteristically 'Schubart' in Schubart seems to have begun to reawaken. Schubart could not show this openly to his captors, nor do we have any direct statement of his to this effect, but the old Schubart shines through in everything he does from now on. However, all was not black. The new room they put him in on 23 July brought Schubart an advantage that neither he nor his captors had ever expected. An advantage that must have also appealed to the deeply subversive streak in Schubart's character. A glimpse of a distant, unreachable horizon.